Free Express Delivery Across Australia at Vodafone Don't pay costly delivery fees. At Vodafone, you have express shipping for free. Google Pixel 3 for $59/month at Vodafone Buy Google Pixel 3 and receive a bonus Google Home mini smart speaker worth $79. Vodafone TV for $72 at Vodafone Watch thousands of movies, shows, or play games with Vodafone TV. Get Huawei P30 Pro with Bonus Huawei Freebuds at Vodafone Get wireless earphones worth $199 when you get the Huawei P30 Pro on selected plans. Up to $650 Off Samsung Galaxy S10 at Vodafone Use this great deal to save $650 off Samsung Galaxy S10. Score 25GB Bonus Data for $40 a Month at Vodafone Pay only $40 a month and enjoy 40GB of data to surf the Internet and use apps! 50GB Total Data for $20 at Vodafone Enjoy the freedom of surfing on the Internet for only $20 a month at Vodafone. Students Get Endless Data for $45/month at Vodafone Stay on a budget and never run out of data with this great Vodafone deal. $15/mth for Alcatel Family Watch at Vodafone Keep an eye on your child with Alcatel Family Watch and let them explore the neighbourhood freely. Vodafone Hutchison Australia (VHA) is an Australian telecommunications company that provides its customers with mobile, text and data services. VHA has a 50:50 split of assets with Vodafone Group Plc. In 2017, VHA’s customer base grew to approximately 5.7 million. It now has over 500 stores across Australia. Keeping up with the most advanced telecoms technology means that Vodafone currently offers its best ever 4G network, which now covers over 22 million Australians. You can easily use the online Vodafone coverage checker to see the network coverage in your area. The network reach will only continue to improve as the company implements the building of 177 new mobile towers in regional Australia. Whether you’re shopping for personal use or business, Vodafone offers a broad range of products, network services and bundles to suit every requirement to make sure you stay connected across all your digital devices. Browse for iPhone and Android handsets, Tablet and Mobile Broadband packages or look at a vast range of plans to suit your exact requirements and budget. How do I use my Vodafone promotional code? Browse vouchercloud for a Vodafone code to copy. Click ‘shop now’, and wait to be redirected to the Vodafone website. Add a handset or contract bundle to your basket, and add your code to the promotional code box at the bottom of the page. Click black ‘apply’ button, and see the discount being deducted from the total cost. Follow the onscreen instructions to complete your payment. Keep checking the Vodafone social media platforms for all the latest deals on new products and services. Where can I read up on the legal terms of my Vodafone contract? You can read all the terms and conditions on this page of the website. How can I check that my location is covered by the Vodafone network? You can use the Network Coverage Checker on this page. What should I do if I’m experiencing issues with my Vodafone network? Read the advice on this page in the first instance. Call 1300 650 410 in Australia. If you’re expecting a new handset or device that you’ve ordered online, the device will be sent to your home address, by recorded delivery. 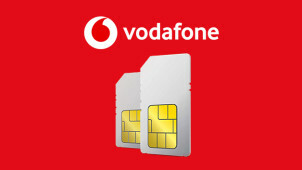 All other physical products are available to collect from a Vodafone store if in stock. To find out if you’re eligible for a refund or exchange, read the info on this page. Use the Store Locator tool to find your closest store and its opening times. Vodafone is a global telecommunications giant offering consumers and businesses a plethora of digital communication solutions that’ll keep you online and connected in a speedy and reliable way. If you’re looking to find a new handset, upgrade an existing contract or add some new services to a data bundle, why not do it while making great savings with a Vodafone promo code? You’re bound to get an amazing discount which will keep your bank balance happy. Are you aware that with Vodafone’s Prepaid Mobile Phone services, you’ll get more of what you love most about your Vodafone package? If you’re all about data or calling overseas, the Data and Talk Combo options give heaps of the inclusions that you love. And on $40 and above Combo Starter Packs and recharges, you’ll also get a 35 day expiry. If that doesn’t suit, grab a Prepaid 365 Plus service, lasting up to 365 days with some great rates. If you want to be no-strings-attached when it comes to your mobile phone, then perhaps a Vodafone SIM Only deal is the one for you? Month to Month SIM Only plans give you flexibility, whereas 12 month SIM Only plans give you plenty of options when it comes to inclusions. Choose a Data Plan that’s packed with data for use in Australia, or a Global Plan which includes standard international minutes from Australia to a range of countries.